Students from the CAPE Alternative School work on creating dialogs regarding substance use as part of activities during the Drug Free Youth Summit. 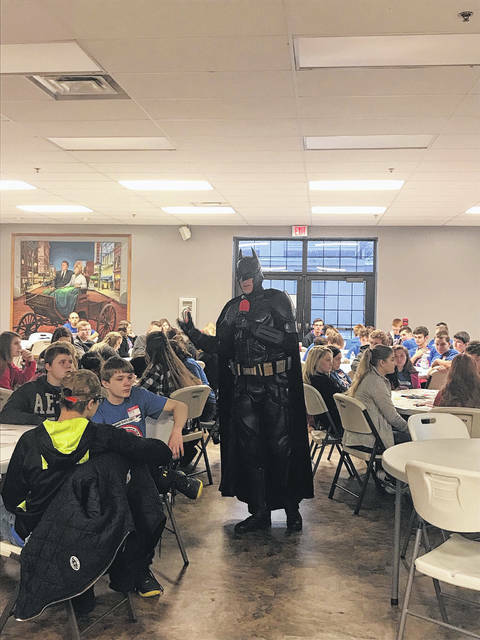 This year’s summit speaker was John Buckland from Huntington, W. Va., better known as Batman, who shared some of his difficult past with the youth. 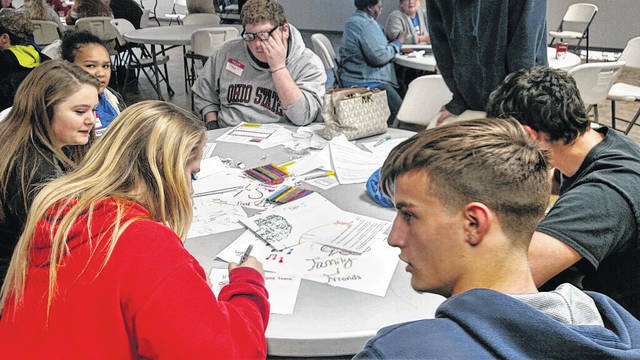 The Portsmouth City Health Department conducted the fifth annual Scioto County Drug Free Youth Summit, focused on battling the opiate epidemic as well as the plague of addiction as a whole, Friday at the Scioto County Welcome Center and Visitors Bureau in Portsmouth. According to Lisa Roberts, with the health department, the programs has two goals: to help youth make responsible decisions about drug use and to decrease substance abuse by Scioto County youth. Each year, the summit offers a variety of youth-based activities and speakers. 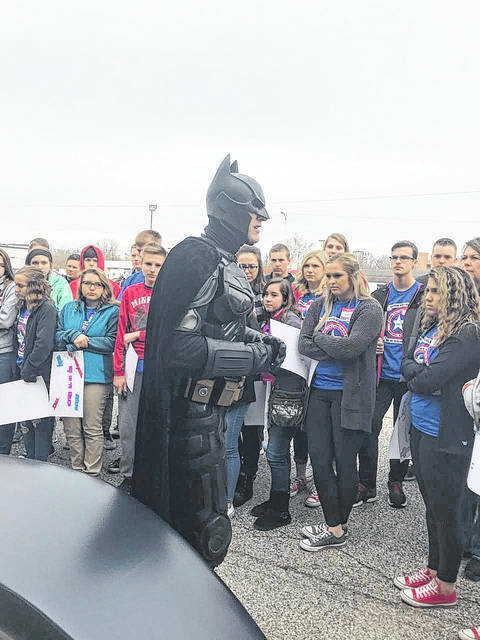 As part of this year’s program, John Buckland from Huntington, West Virginia, better known as Batman, came out and spoke to the group. With him, he brought out his Batmobile. Roberts explained that Buckland had a difficult background that he used to related to the kids and teach them through his own personal experiences. Nicole Ishmael, 16, student at the CAPE Alternative School, stated that she enjoyed seeing his suit and his car. She also explained a bit about what she had learned throughout the day. Throughout the day, the student wrote dialogs in which they practiced ways to say no to drugs, make some art projects and discussed some difficult topics. 88 kids took part in the program from five schools. The summit was sponsored by the Drug-Free Communities grant. Roberts added that Scioto County was recently granted the second round of Drug-Free Communities funding. Funds are granted for five years at a time for a maximum 10 years. For more information about the Drug Free Communities program or the Drug Free Youth Summit, contact the Portsmouth Health Department at (740) 353-8863.